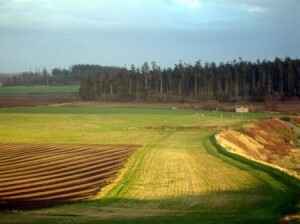 Agriculture landscape at Ebey’s Landing, Whidbey Island in Washington State. Photo by Mitch Richards. Ebey’s Landing National Historical Reserve, on Whidbey Island, Washington State is a landscape that illustrates a continuous record of Pacific Northwest history. The land appears much as it did a century ago. Patterns of settlement, historic homes, pastoral farmsteads and commercial buildings are still within their original farm, forest, and marine settings. A visitor can experience a variety of diverse physical and visual landscapes within a small geographic area. The community of Ebey’s Reserve is a healthy, vital one that allows for growth and change while respecting and preserving its heritage. Ebey’s Landing is the very first National Historical Reserve in the United States. More than a traditional historic park, site or landmark, the Reserve encompasses an entire agricultural community – a thriving, working landscape that offers an unbroken cultural link to the eighteenth and nineteenth centuries. Though a unit of the National Park Service, Ebey’s Reserve is administered by a local Trust Board, a partnership comprised of representatives from the Town of Coupeville, Island County, Washington State Parks and the National Park Service. Eighty percent of the 17,572-acre reserve is privately owned, and within its boundaries over 400 structures are listed as contributing structures on the National Register of Historic Places. Of these buildings, 99% are in private ownership. 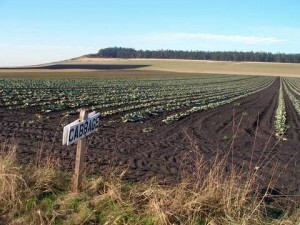 A unit of local government tasked with preserving a community’s character faces inevitable challenges in working across multiple jurisdictions and with thousands of private owners, but through collaboration and creative exchanges, the historic rural character of Ebey’s Reserve, and the significant stories it holds, are being preserved for future generations. The Reserve was championed by a group of concerned residents in the 1970s when economic changes to Whidbey Island threatened to fragment and develop historic farmlands, diminishing the scenic character of the region, as well as its links to its heritage. Their efforts to save the cultural as well as the visual landscape resulted in Congressional legislation that formed the Reserve in 1978 to commemorate important events in Pacific Northwest history: the exploration of Puget Sound by Captain George Vancouver in 1792; the first Euro-American settlement by Isaac Ebey and his efforts at establishing the Washington Territory; the homesteading years of the Donation Land Law of 1850; and the importance of the maritime commerce center at Coupeville on Penn Cove, the second oldest town in the state. No landscape in western Washington preserves such direct connections to as many layers of the state’s history as Ebey’s Landing National Historical Reserve. Ebey’s Landing cabbage field. Photo by Mitch Richards. The Reserve is sustained through the use of contemporary conservation strategies and local stewardship and employs a number of tools to help maintain the integrity of its cultural landscape. In January of 2012, following two years of workshops and public meetings, the Town of Coupeville and Island County adopted a unified design review program to more effectively protect the Reserve’s historic integrity and sense of place. The unified program and guidelines protect the landscape’s character and appearance by encouraging compatible rehabilitation and site planning, and ensures that new development is sensitive to the character of the surrounding neighborhoods and landscape. Members of the New Historic Preservation Commission represent the Town of Coupeville, Island County and the Reserve when considering building applications through the cultural landscape lens. Regarding maintenance challenges, every summer the Reserve sponsors an annual Preservation Field School, which musters a large army of preservation crew volunteers to spend three weeks working on a designated project within the Reserve. For example in 2012, a teetering 19th century carriage house was righted and stabilized, and given a new roof to buy the owners time to create a restoration plan for new uses to come. The Trust Board established the Ebey’s Forever Fund in 2009 to provide direct fiscal support to the owners of historic properties in the Reserve through a new grant program. Translated from the Washington Heritage Barn Program, this community-driven effort offers matching grants to owners to help preserve the Reserve’s historic structures for traditional uses and uses yet to come. Since 2011, the Trust Board has granted more than $100,000 to eighteen contributing historic properties listed on the National Register of Historic Places.